a used (in very good condition) 2014 Toro MP 5800 boom spray, that uses a computer to accurately mix chemicals with water for spraying of fertiliser, fungicides etc, through the green. 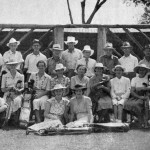 Another photo shows staff being trained in use of the boom spray. and our most expensive acquisition a used 2014 Toro RM 7000 fairway mower that has more extensive and powerful cutting power (55 hp) resulting in 3.1 m cutting width. A same model mower has been on loan to the club over the last month and we have seen how good the fairways have come up. That unit was not in as good condition as the one we have purchased. Not shown is a set of three grooming reels that can be used on the new greens mowers. These Toro Verticutters take thatch out when they mow, reducing the need for major scarifying of greens. 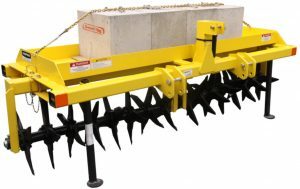 To arrive soon is a new Groundhog Aerator (right) which will be turned loose on tees, landing areas and bare patches when soil moisture is adequate. Still to come is equipment from John Deere, include a new Coring machine and a new fairway mower that will be used mainly for surrounds/tee mowing. It is three wheel drive with a 2m cutting width. It can be our back-up fairway mower. All up the equipment from Toro and John Deere will be leased over 5 years and will cost between $245,000 and $265,000, depending on negotiations underway. The Finance sub-committee of Cooroy Golf Club should be commended for investing in our golf course to such an extent. 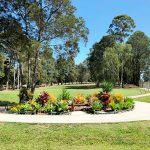 We will see a much better golf course as a result, and through word of mouth, along with promotional material (on website), we will get more people playing golf at Cooroy and more members. In the short to medium term however low membership means the club can only afford to employ four greens staff, which is about half or a third the number employed on most other courses on the Sunshine Coast. 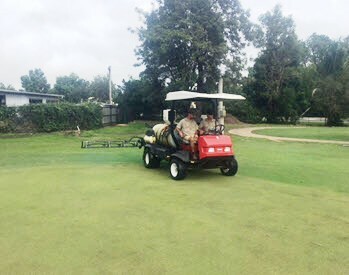 Moreover Todd, Paul, Brendan and Alex face the daily challenge of trying to grow quality grass on fairways that are 95% rain grown (no irrigation), and on clay that has low nutrient holding ability; the technical term for this is cation exchange capacity (CEC). Soil testing conducted on fairways 1 and 17 show the soil has <6 CEC units; contrast this with clay’s in the Lockyer Valley that have CEC’s up to 60 units. Generally low CEC soils are infertile (will respond to fertiliser, but don’t put on too much as it can’t hold it) and have low water holding capacity. We also have many trees on our course resulting in much debris falling particularly in the rough and at times on greens after high wind or a storm. Removing debris from greens before golfers tee off is a challenge for Greens staff. 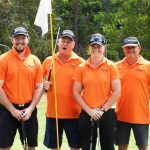 Well coordinated volunteer work can make a big difference to a golf course, and like other courses on the Coast, Cooroy Golf Club relies on such input. We have a group of ladies who have done marvelous work establishing and maintaining gardens. Similarly we have regular workers each Tuesday morning (aka the Storm Troopers), cleaning up around the course along with other miscellaneous tasks. Other gents maintain the blue boundaries on approaches to greens, the ball washers and the memorial garden on the 18th tee. Others have recently painted markers on the course and completed a make-over of the flagpole next to the clubhouse. No names have been mentioned here for fear of leaving someone out; but these volunteers don’t put in for the recognition. However one volunteer who should get special mention is Rex Williams who most mornings helps greens staff do equipment maintenance along with rough mowing. Our greens staff will get the course up to good condition considering the constraints mentioned above. Regular volunteers help raise the quality of our course a bit more. But we can do more. Recently the Greens Committee with input from Cyril Trist identified a wish list for 2018 of improvements to course on a hole by hole basis. This list will be uploaded to the volunteer page on the website. If you want a copy contact the Greens Director. Each task has been divided into a job or project. The former can mostly be done in-house using volunteers or greens staff. 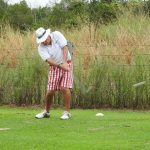 Projects however will require thorough planning and costing before approval by the Cooroy Golf Club management committee. Our thanks to Rod Booth for the work he has done to date initiating our volunteer management and recognition system. For information, go to the Volunteer page on the website. 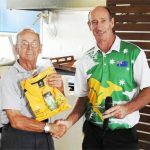 Rod is a pretty active volunteer too, being the initiator of the on-line nomination process for special days (Cooroy Men’s Open and Host days), website manager and by association our unofficial publicity officer. There was something else – Oh yes; he is also Secretary, Treasurer and Newsletter editor of the Vets. A volunteer notice board will be placed on the outside of the clubhouse next to the south facing sliding door. We are planning a working bee about every three weeks on Tuesday mornings to work on the wish list identified by the Greens Committee. Please help make our Golf Course even better. And please don’t leave it to the same volunteers to do this extra work as that will not be sustainable. We are asking for 2-3 hours of your time now and then. Many hands make light work. The first step is to register as a volunteer and indicate your preferences for the type of work in which you would like to be involved. You can register online on the Volunteers webpage. what will the course look like in 12 months time, in two years time, in five years time with the benefit of new fit for purpose equipment and proposed course activities. raising the tree canopy improves airflow and drying across the course with an expectation of reduced playing downtime and revenue loss from wet weather. This can be measured. 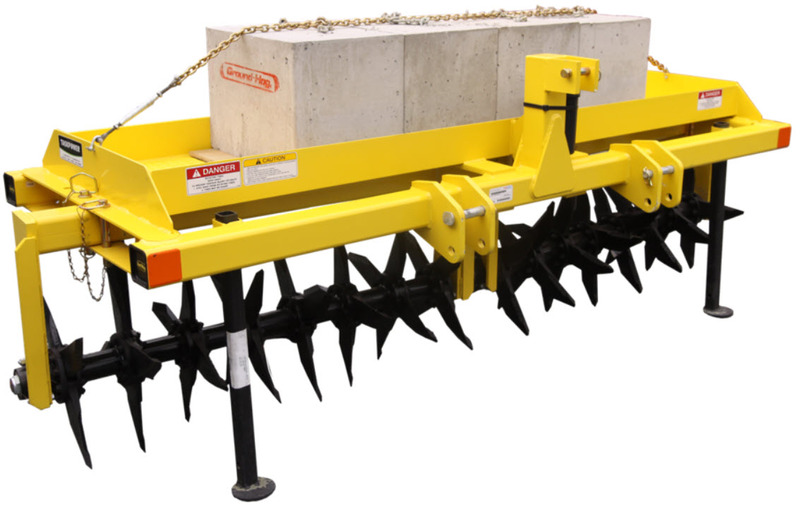 Course equipment and associated labour costs make up a significant proportion of annual course maintenance costs. As this equipment is used everyday it needs to be reliable and consistently deliver optimal performance. The machinery maintenance work undertaken by volunteers is expected to (1) deliver savings on maintenance costs (2) minimise machinery downtime (3) extend the useful life of machinery (4) contribute to staff/volunteer morale – working with equipment that operates effectively and efficiently and consistently does a good job. This can be measured.